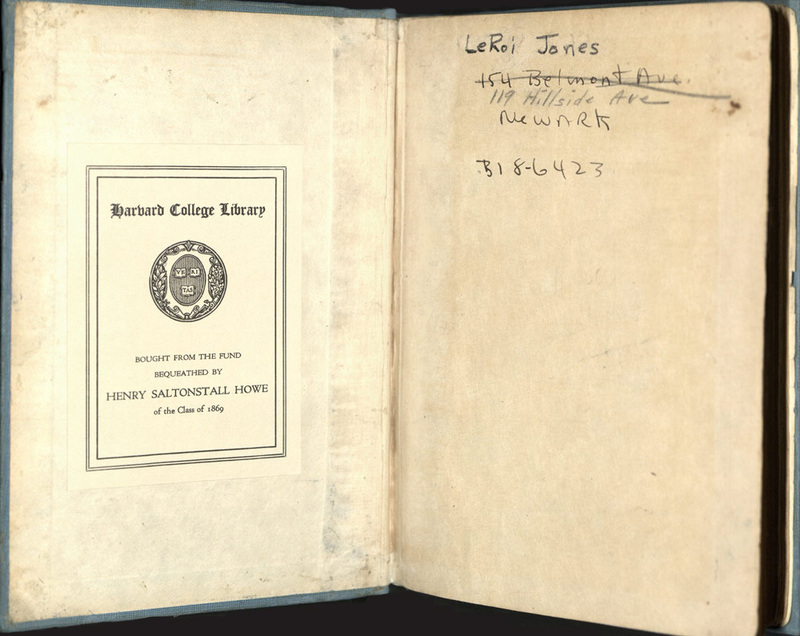 This copy of Wright’s Native Son belonged to the poet Amiri Baraka, née LeRoi Jones, when he was a teenager in New Jersey. On 17 October 2013, the book was re-presented to him on the occasion of his reading for the Woodberry Poetry Room, one of the last he gave before his death on 9 January the following year. Mr. Baraka was both surprised and thrilled to see the book again, and in the Harvard collection no less, and this act of conjuring a physical memory from out of the stacks to present to him as a gesture of welcome remains one of my favorite Houghton moments.